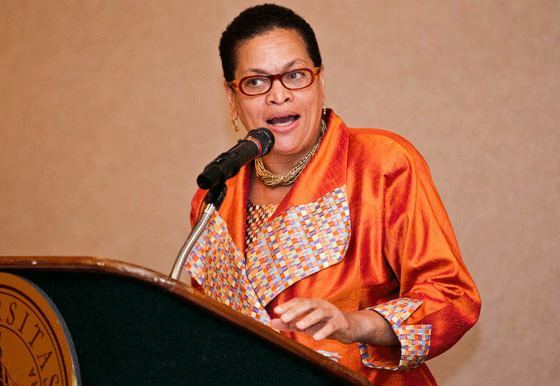 Julianne Marie Malveaux (born September 22, 1953, in San Francisco, California) is an African-American economist, author, social and political commentator, and businesswoman. After five years as the 15th president of Bennett College, she resigned effective May 6, 2012. Malveaux entered Boston College after the 11th grade, and earned a B.A. and M.A. degrees in economics there in three years. While there, she was initiated in the Iota Chapter of Delta Sigma Theta sorority. She earned a Ph.D. in economics from MIT, and holds honorary degrees from Benedict College, Sojourner-Douglass College and the University of the District of Columbia. As a writer and syndicated columnist, her work has appeared regularly in USA Today, Black Issues in Higher Education, Ms. magazine, Essence magazine, and The Progressive. Her weekly columns appear in numerous newspapers including the Los Angeles Times, the Charlotte Observer, the New Orleans Tribune, the Detroit Free Press, the San Francisco Examiner and the San Francisco Sun Reporter. Malveaux has appeared regularly on CNN, BET, as well as on Howard University's television show, Evening Exchange. She has appeared on PBS's To The Contrary, KQED's Forum, ABC’s Politically Incorrect, Fox News Channel's The O'Reilly Factor and stations such as C-SPAN, MSNBC and CNBC. She has also hosted talk radio programs in Washington, San Francisco, and New York, as well as a nationally broadcast, daily talk show that aired on the Pacifica Radio network from 1995 to 1996. She appeared on Black in America: Reclaiming the Dream hosted by Soledad O'Brien as a panelist on CNN in 2008. She serves on the boards of the Economic Policy Institute, The National Committee for Responsive Philanthropy, Women Building for the Future - Future PAC, and The Recreation Wish List Committee of Washington, D.C. She is also the President and CEO of Last Word Productions, Inc, a multimedia production company. Described by Cornel West as "the most iconoclastic public intellectual in the country", Malveaux contributes to the public dialogue on issues such as race, culture, gender, and their economic impacts. In 1990, Malveaux, along with 15 other African American women and men, formed the African-American Women for Reproductive Freedom. She taught at San Francisco State University (1981–1985) and was a visiting professor at the University of California, Berkeley, (1985–1992). She has also been visiting faculty at the New School for Social Research, College of Notre Dame (San Mateo, California), Michigan State University, and Howard University. Malveaux had a radio program on the left-wing Pacifica Radio network. On November 4, 1994 she said on her radio program that she hoped Supreme Court Justice Clarence Thomas' wife would feed him a diet inducing heart attack. "The man is on the Court. You know, I hope his wife feeds him lots of eggs and butter and he dies early like many black men do, of heart disease. Well, that's how I feel. He is an absolutely reprehensible person." Commenting on the Duke lacrosse case in an interview on National Public Radio a few days after proclamations by the North Carolina Attorney General, Roy Cooper, that the three students were innocent, she said that they were "hooligans," had lied, and that they "did not deserve an apology." 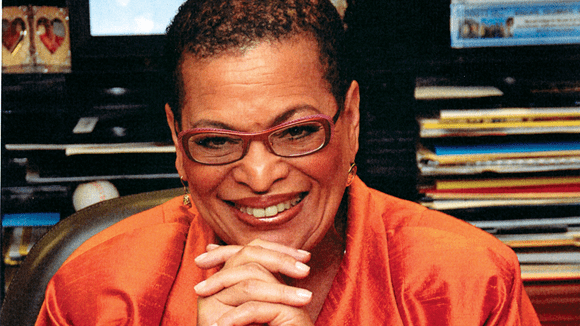 On June 1, 2007, Julianne Malveaux became the 15th President of Bennett College for Women in Greensboro, North Carolina. 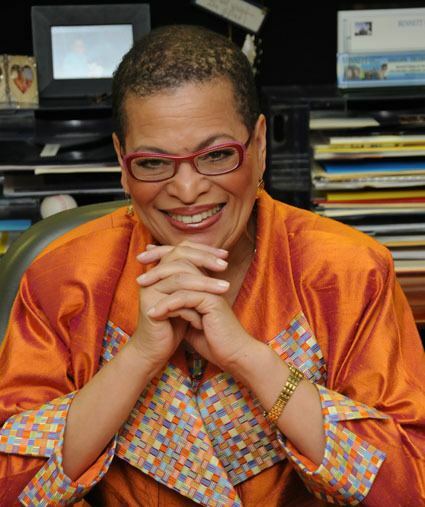 In February 2012, Malveaux announced that she would be stepping down from this position in May 2012, saying in a statement: "While I remain committed to [historically black colleges and universities] and the compelling cause of access in higher education, I will actualize that commitment, now, in other arenas. I will miss Bennett College and will remain one of its most passionate advocates." The Paradox of Loyalty: An African American Response to the War on Terrorism (2002). Unfinished Business: A Democrat and A Republican Take On the 10 Most Important Issues Women Face (2002).